Lady Poppins: Happy BIRTH Day, Arilyn! Sweet little Arilyn was born two weeks before our baby Clara. She is the third baby for my husband's best friend Jared and his wife Jen. Isn't she the cutest?! 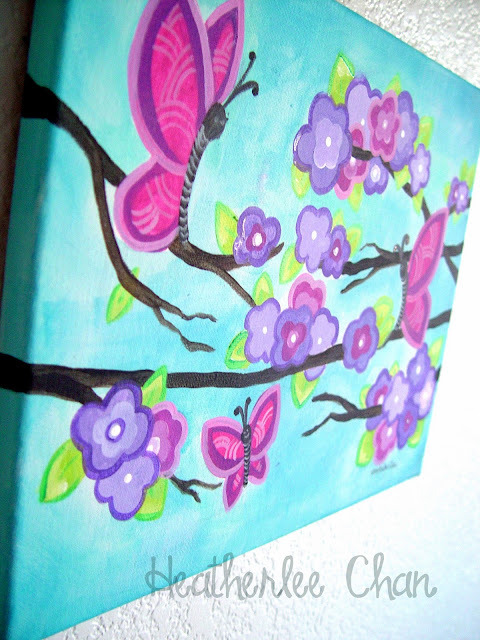 She will be sharing a very girly room with her older sister Lexi, so I thought it would be fun to do a super girly painting. 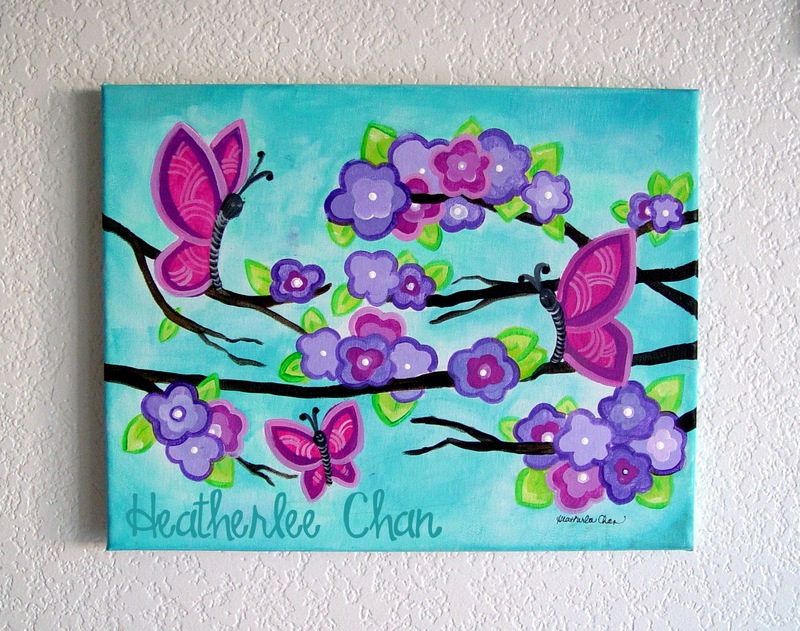 Note the PINK, purple, flowers, and butterflies. Congrats to the Flores fam!